he only song posted twice on my blog, my previous post is here (this version is performed when Charles was still young, a much higher tempo). I’d listened to both the vocal & instrumental versions of this song long before, but didn’t recognize that they are actually one same song. Just by a sudden special chance in Dalat made me realise that it is Paul Mauriat who was covering Charles Aznavour. 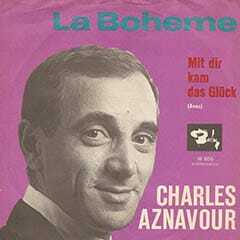 Charles Aznavour is a very big name in American & French music, but much more popular in his French audience. Till now, he still go to stage and have many performance at the age of 83, and still attract and seduce a lot of listeners. He is called by the title French Frank Sinatra, but to me Charles Aznavour is much more different however, Frank Sinatra didn’t wrote the song himself. Et l’amour est mort, vive l’amour! 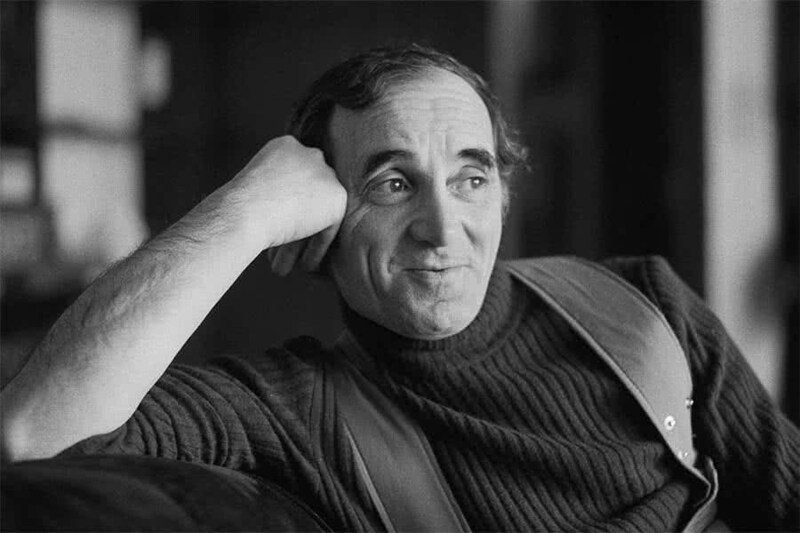 Image on the left: Charles Aznavour, one of the most well-known singers in the world. His music heritage includes about 1000 songs (mostly in French, 150 in English, 100 in Italian, 70 in Spanish, and 50 in German), and sold well over 100 million records.